We may come to understand that if we can learn to rely upon our mind to serve our well being ,we recognized that our actions must be mental first, to be free at last. Free from the need to hope that our well being will come to us someday in the future, free from worrying about what someone else thinks it’s good or fearing that we probably won’t get much better at all the things we do. The truth is that the way life works in each individual is through his/her thoughts. 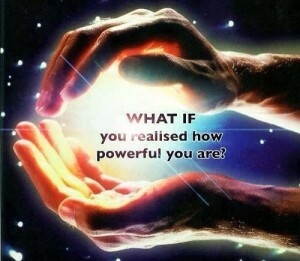 The power lies inside of us, each of us is our own truth, and our truth is always available to us. Nothing in your life can be more responsive to you than the action of your thoughts. This is a great point to remember, that the real creative power of life, the truth of life, is the action of mind and the power of thought, and how we apply it…this is truth. Moreover, if we are to come to a place of power and purpose in our lives, our primary objective is to learn how to think correctly. In addition to, we must learn how to discerned and understand the difference between the things we ought to be thinking and the things we have absolutely no business thinking. Thought is the crucial aspect of living a well- lived life, again our primary action must be mental. Of course we all want to behave well and have good manners, but even though the right things we do are important, the way we think is more significant. It will lead us to do the right things, say the things we say, make the choices we make, react the way we react and be whatever we appeared to be at any given time. If you are truly honest with yourself and you want to grow,act right, and be able to live in peace and harmony in our world without the stress of worrying if we are okay and if you want to become a person who acts with ease and grace, then your primary concern must be the way you think. When we think the right way, whatever we might be doing and with whomever we are dealing, our actions will tend to be correct. They will tend to contribute, or improve a situation, or at least not make it worse than what it is. I have heard many times from key people in my life, that the only thing we can do when we do not know what to do is to have the wisdom to do nothing. There is nothing wrong with just shutting up sometimes. And just be willing to bite your tongue rather than putting yourself down, someone else, or the situation. Think first, if you cannot make a positive, loving comment, say absolutely NOTHING. 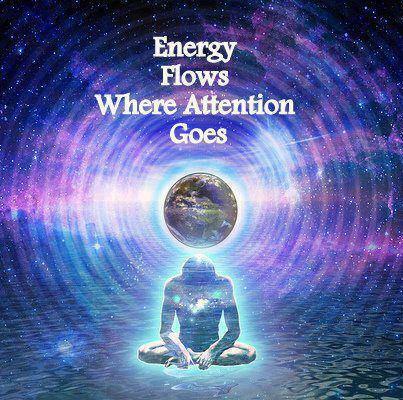 Be aware, connect to your highest consciousness for healing, clarity and focus. Through the creation of this type of consciousness, your action must be mental, be more concern with thought than with appearances. We all can act at times, pretending that everything is fine, when is not, just to impress people, this can be a self delusion and self betrayal. All this false acting is an insult to our intelligence and can be a deterrent to our learning abilities. Remember, all thought is creative, even goofier, off the wall thoughts. All thoughts are creative because it has the power to impact our minds. We are always thinking and creating. We can stop doing anything else, but somehow we cannot stop thinking, therefore what we are thinking all the time is extremely important. Do you think of yourself kindly? Do you think of yourself as the kind of person that deserves the best in life? If not, What good is that doing to you or anyone else around you?